< Select > 10 Dom. US10 Car./Mex.5 Dom. US and 5 Car./Mex. 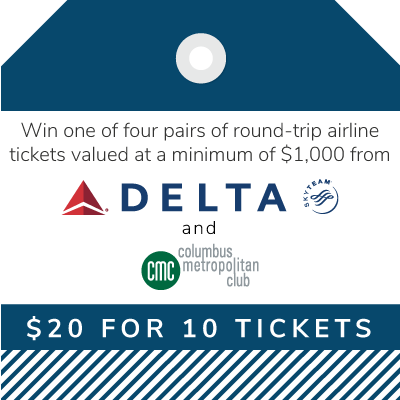 $20 for 10 tickets to enter into the raffle to win one of four pairs of round-trip airline tickets valued at a minimum of $1,000 from Delta Air Lines. Choose whether to enter all 10 tickets into either drawing (Domestic US or Carribean/Mexico) or put 5 in each drawing.